Gearing up Penang athletes in preparation for the coming Sukan Malaysia XIII Melaka 2010 which will be held at historical city Melaka from 10 to 19 June this year, Penang State Sports Council has taken one step forward by holding a “Sukan Malaysia XIII Melaka 2010 Athlete Workshop” recently. 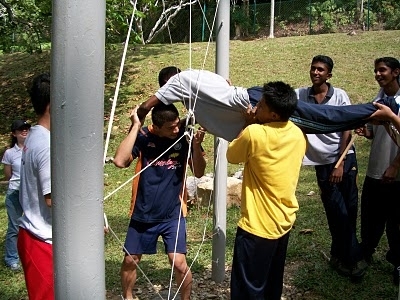 Held from 13 to 15 Mac at the PBA Team Building Centre in Air Itam, the workshop saw 55 Elite Athletes and “Projek Mutiara” athletes taking part in a program organised to encourage the spirit true sportsmanship and to prepare them mentally as part of their preparation for the upcoming bi-annual national sports event in Melaka. • To strengthen the athletes mentally via teamwork activities which leans on sports psychology components. 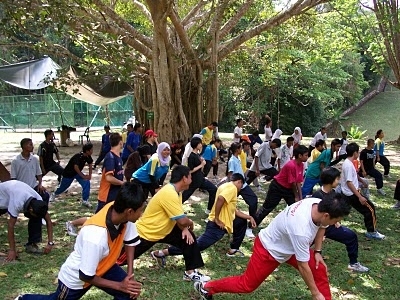 • To provide athletes the necessary exposure and education on proper diet, health and elite athlete fitness in a workshop facilitated by the National Sports Institute, Penang Branch. The workshop was graced by the presence of EXCO for Youth & Sports, Women, Family and Community Development Yang Berhormat Puan Lydia Ong Kok Fooi together with Penang State Sports Council Director Tuan Haji Mohamed Akbar bin Mustapha.